Thanks to an app, you could now turn the time your car sits idle into passive income. Turo (formerly RelayRides) is a unique peer-to-peer car sharing service. Turo is available in more than 2,500 cities and in 300 airports in the U.S. and Canada. 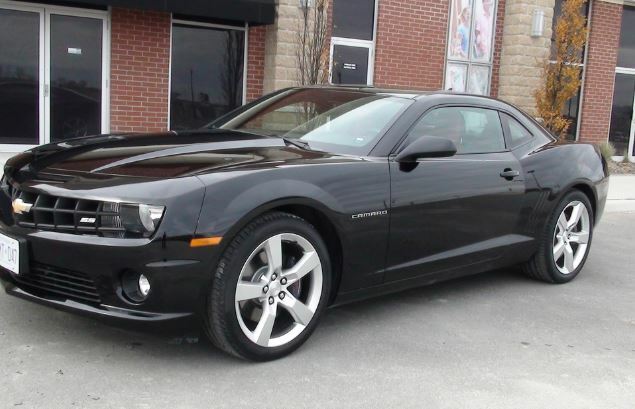 Vehicle owners list their car for the days they don’t need them, mark a pickup location, and set a mileage limit. Those who need a car can select one to rent from hundreds of options using Turo’s website or mobile application. You can set your own daily price as well as prices for individual days. Additionally, you are able to create a weekly and a monthly discount. Alternatively, hosts in some locations can choose to have Turo price their car for them. The question of whether or not you can make money from this comes down to demand. There may or may not be demand for your particular car. But, it doesn’t hurt to try because even a small amount of rental time could generate significant income. 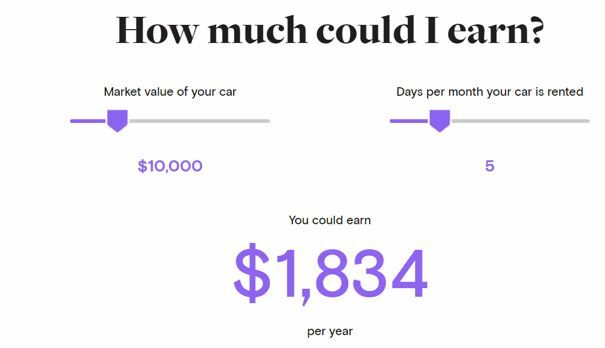 The example below is from the Turo web site and shows that even a relatively inexpensive car which is rented fairly infrequently could generate more than $150 a month, on average, in income. The value of the car is a factor because Turo rental fees are based on the pricing found in the traditional rental car market. Newer and more expensive cars command higher fees in that market and there is spillover into this market. Turo is not the only peer to peer car rental service. GetAround is another peer-to-peer car-rental app similar to Turo.One drawback is that the service area is limited although it is expanding. Recently, GetAround is operating in only eight cities (San Francisco, Berkeley, Boston, Chicago, New Jersey, Oakland, Portland and Washington D.C.). At the company’s web site, you can register for updates on when the service is expanding. With HyreCar, you can participate in the Uber market without having to be a driver. Among the other options is a company that has defined a niche specializing in car rentals from airports. FlightCar acts as a liaison between people who leave their car to depart the airport and those who want to rent a car upon arrival. FlightCar was recently operating at several international airports located in San Francisco, Boston, Los Angeles, and Seattle. FlightCar offers to pick you up and drop you off at any location within ten minutes of their lot, including the airport. FlightCar also includes insurance, free GPS, and free car seats. Now, these services are all ready made and available to qualified users. But, what if you live in a popular recreational area and have extra equipment? Perhaps you are a skier and have several pieces of older equipment around that could be available to rent. This could be accomplished through a craigslist ad or with a similar web site. If you live in an area such as that, it could be possible to organize a local group that offers rentals. That could be a new group or one that already exists. The group could work with other local businesses to find cobranding opportunities. This general business idea, of course, isn’t limited to cars or sports equipment. Anything that has some value and is used less often than all of the time could be suitable for a rental model. It could be worth walking through your home, or storage units if you have any, and think like someone who could be a customer. Then, develop a business plan. Perhaps work with Turo while developing a fly fishing rental business. In the end, that walk trough could result in passive income using an existing service or it could result in an idea for your very own business with possible international appeal. You might just be inspired to create the next Turo, just as many entrepreneurs have created variations of Uber and done quite well. But, think creatively and don’t be afraid to try something that might seem doomed to failure. Ten years ago, the idea of Uber and other sharing services might have seemed unlikely to succeed. But, someone created the market and consumers accepted the idea. With the right idea, you can develop income too.